ATS Grandstand: A majestic development with premium features that will enrich your life! Gurgaon is an incredible city and a part of the National Capital Region that is not only known as one of the biggest financial and IT hub in the country, but also a city that is gracefully spreading out with residential projects filled with modern-day living. 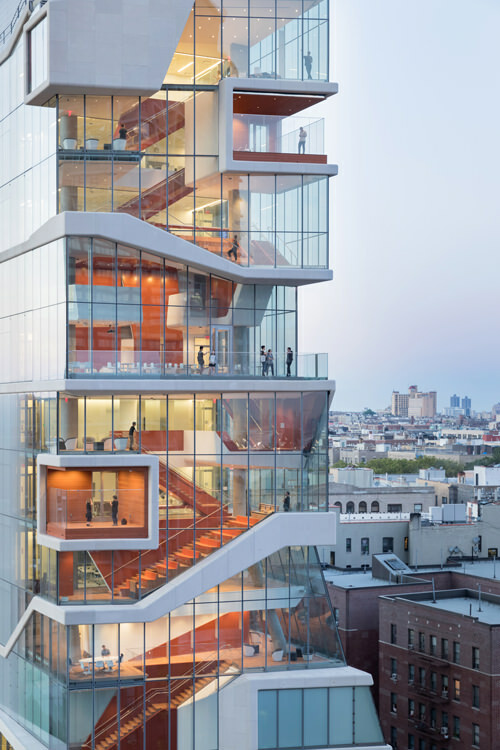 ATS Group is a well-established and renowned real estate company that has created iconic developments that are simply spectacular and its latest development is nothing short of remarkable. ATS Grandstand is the latest residential project by ATS Grandstand that is filled with wholesome goodness from head to toe. This is where you will find immense luxury, comfort and peace like no other. Filled with rich amenities and beauty, you can experience a modern-day lifestyle that will satisfy all your senses. Extended over an area of 13.25 acres, this development consists of 9 beautifully crafted high-rise towers and a total of 620 residential units that you will fall in love with. 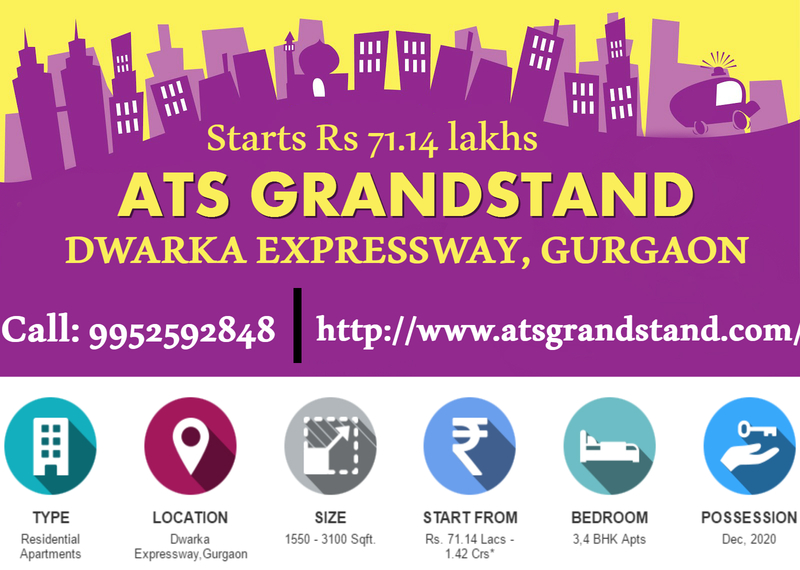 Located in Sector 99A, off the Dwarka Expressway, ATS Grandstand Gurgaon comes in close proximity to a number of daily and emergency landmarks and provides ample convenience each and every day that you and your family will be happy about. You can access places like schools, universities, hospitals, medical and research centres, malls, supermarkets, hypermarkets, shopping centres, convenience stores, cafes, restaurants, cinemas, banks, ATMs, expressways, all kinds of public transport and so much more in the shortest amount of time possible and that is for sure. Its strategic location gives you easy access to anything at any time, without any kind of hassles or long-distance journeys. When residing at this fabulous development, you can truly save travel-time and actually use it for the things in life that really matter. This is where you experience a grand life like never before! The apartments are spacious, provide good natural lighting and contain vitrified/marble flooring, beautiful kitchens with pre-polished granite/marble counters and high-tech electrical points for hub and kitchen chimney, decorative doors and windows, high-end furnishings and fittings, etc. The external amenities are truly divine and offer an experience of pure luxury that just can’t be ignored. The external amenities include a clubhouse, gymnasium, multiple indoor/outdoor sports facilities and a play-area for kids, meditation centre, swimming pool and a multipurpose hall for different occasions, luscious landscape garden, wide open space to get lost in and a lot more. This development also offers good car parking, efficient power back-up for emergency situations and strong security. ATS Grandstand is an exclusive and grand highrise residential development that you will always be proud to be a part of. 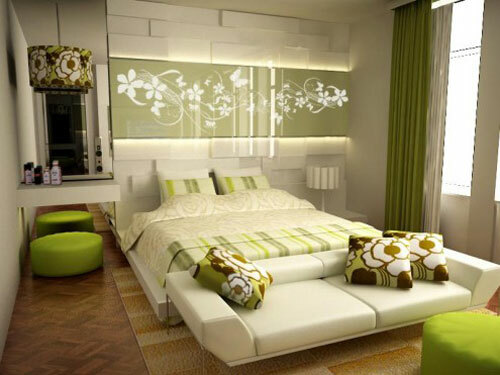 Offering lavish variants of 3BHK and 4BHK luxury apartments with areas starting from 1550 sq. ft. and going up to a whopping 3100 sq. ft., there is a lot to look forward to in every apartment. From internal amenities to external, pure luxury and comfort is something you will always find. The apartments contain well-spaced rooms, split units in all bedrooms, living room, family and dining room, branded furnishings and fittings, premium windows and doors that provide jaw-dropping landscape views, vitrified/marble flooring, stylish kitchens with marble/granite tops and electrical ports for chimney and hob, safety features and the list goes on. The external amenities at this development are world-class and will always help you unwind, relax, stay healthy, have fun with family friends and neighbours, enjoy the beauty of nature and live a modern-day lifestyle that you truly deserve. The external amenities include a clubhouse, multipurpose hall, swimming pool, meditation centre, well-equipped gymnasium, calm open space, landscape garden and efficient car parking facility. You will also find good power back-up for emergencies and high-end security. The ATS Grandstand Gurgaon is affordable and totally worth a purchase. In-fact, a price-tag so low will actually surprise you. Starting at an impressive price of Rs.62.77 lakh and moving up to 77.87 lakh., the apartments at this grand development are worth the exquisite features that it has to offer. ATS Group has always offered the best at the lowest cost and it does the same for its latest project. You can avail multiple payment options, NRI services and home loan facilities that will not burn a hole in your wallet. Booking starts at 5 lakh only! Book your apartment today and enjoy all that life has to offer and a modern-day lifestyle that is packed with luxury and comfort. From luxury towers to spacious apartments, different floor plans to choose from, internal and external amenities of wholesome goodness, easy and fast connectivity to plenty of locations and prices that are unbelievable, ATS Grandstand is majestic development with premium features that will enrich your life.